Inverness Youth Hostel v Inverness, Skotsko: Zarezervujte nyní! 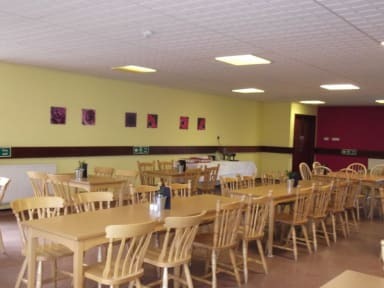 A popular choice for individual travellers, backpackers, families and groups, the hostel has a range of private and en-suite rooms as well as spacious shared accommodation with individual lockers for those exploring the ‘Capital of the Highlands’ on a budget. Some of the rooms enjoy glorious views towards the Moray Firth. Our café offers guests a selection of hot & cold beverages and confectionery throughout the day. Other facilities include a large, comfortable TV lounge, laundry and drying rooms and secure bike storage. Free on-site car parking is also available. A comprehensive catering service ranges from full Scottish or continental breakfasts to lunches and dinners. For those preferring to cook for themselves, a well-equipped self-catering kitchen and dining area is available. Luggage storage is free for all guests and reception is open to 2am for late check-ins. 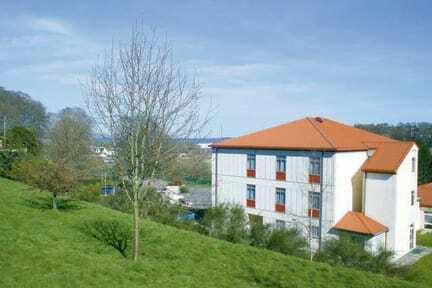 Guests are welcome to use the hostel facilities if arriving early or departing late. Meeting facilities for up to 20 people, with flexible catering packages, are available.